I think a lot of people can vouch for the fact that, as bloggers, we spend a lot of time with Technology. Whether its hours behind the screen, quick emailing from phones, or just working on different things, technology really is important to us. One of my technology must haves is a USB stick. I use both a computer and laptop, so it’s the best way to transfer files, pictures and music and helps me share a lot of my stuff with other people when I need to. I have tons of different ones and carry one around with me everywhere, because you never know when you’ll need one. 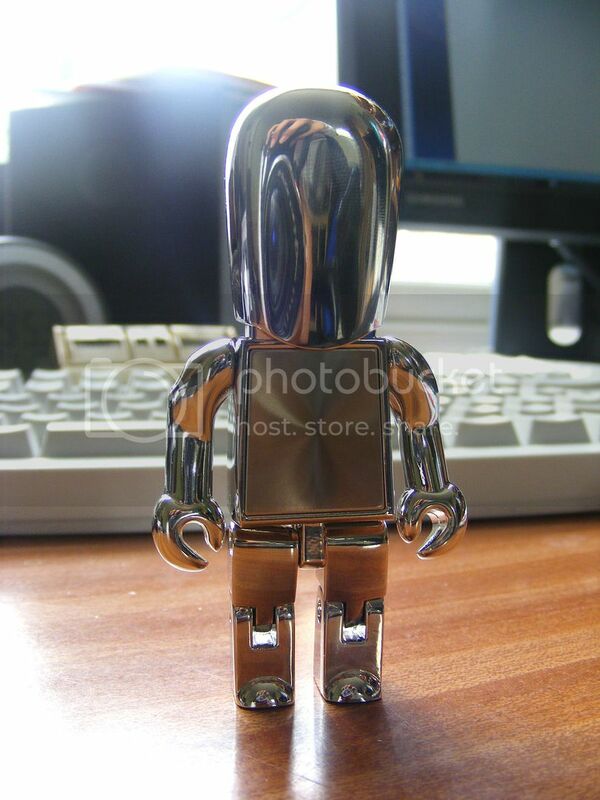 This adorable metal USB robot man was sent over from Lesmar, who do a wide variety of promotional products for all occasions, including lots of promotional usb memory sticks like this one. I love this USB, and it’s been going down well with anyone I show. Both my dad and brother absolutely love him and playing around with him (his joints move) has kept us occupied for quite some time. But onto the technical side, he’s 2 GB, so can store quite a bit of data, and you can get to the USB Connector by taking off his head. It’s such a cool and fun product, and definitely one to make you stand out. And even better, I have 2 to giveaway to you guys. All you have to do is leave a comment, explaining why you need one. The competition will run for a week and is open to UK residents only. omg so cute!!!! too bad i'm in the US!!! That is SUCH an adorable USB! would be well useful for my college year ahead! its so miniature too! aha! I need one, because he is adorable and I have lost mine! OMG that is the CUTEST flash drive I have ever seen!!! YAY! I am huge fan of robot things! Soooo cute! now that's one cool gadget. I love this, would be perfect for slipping into my purse to keep a back up of my favourite photos, I am so paranoid about my computer crashing! That is so cool! I need one because my robot necklace is lonely, so maybe she and this USB robot can become friends and have babies or something..
EEE!I need and I would LOVE one as I'm starting my new job as a lawyer in just under one month and I've been looking for a new usb to make me smile in those admittedly boring days! He looks adorable! I need one because I haven't backed up my computer files for so long and he would look great sat on my desk. 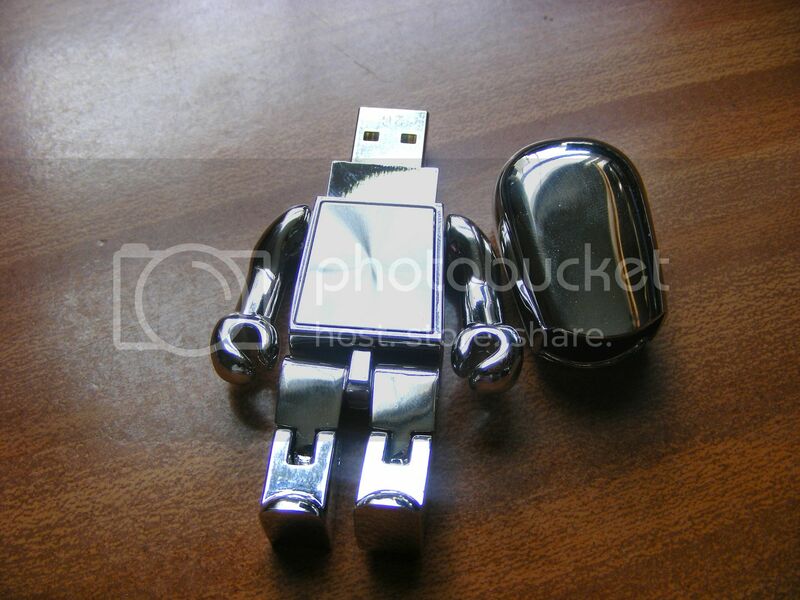 Mr USB man you are too cute! I would be lost without my USB stick! Mine is just a plain one I picked up years ago when I was in Slovakia, and I've been thinking it's time to upgrade... Maybe a cute little robot man is in order? Aw, this is cute. I think I'd spend more time playing than working with this little guy! You could build him a little spaceship out of lego, or a fort... Hmm, did I just completely give away what a massive geek I am? These are so cute! I would really like one to transport my (copious amounts of) homework to and from school so I can work on it on my breaks. It's gonna be a busy year.